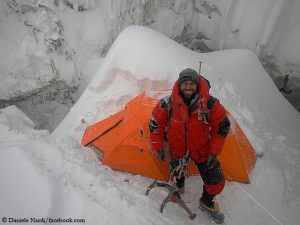 Luis Stitzinger, my expedition leader during the first ascent of Kokodak Dome in western China in summer 2014, led a team of the German operator Amical alpin to the summit of Manaslu last Saturday. According to Luis, all eight members of the group were climbing without bottled oxygen. For the 48-year-old, it was the seventh eight-thousander, all scaled without breathing mask. His wife, Alix von Melle, now has the same record. No other woman from Germany has stood on more eight-thousanders than the 46-year-old. 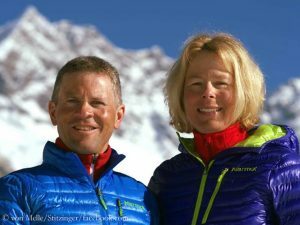 Alix and Luis have summited six of their seven eight-thousanders together. Climbing Manaslu without using supplemental oxygen has become the exception rather than the rule, confirmed another of my former companions. 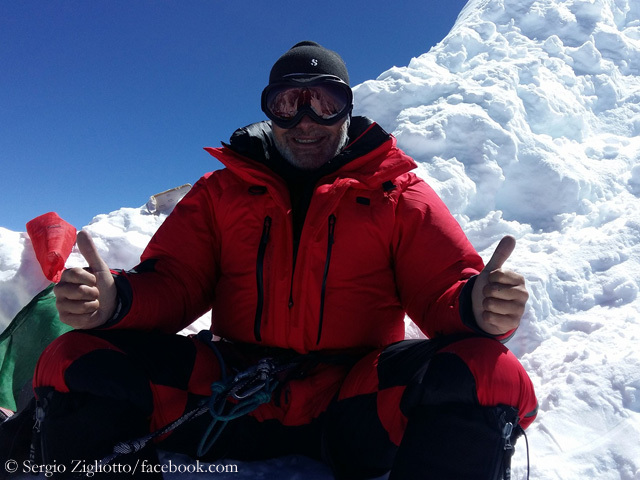 “90 percent are using O2 above Camp 3 (at 6,800 m),” Sergio Zigliotto wrote to me. 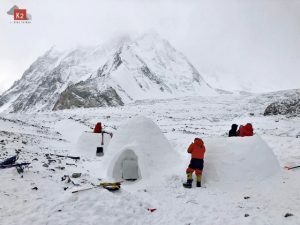 “I saw Chinese climbers using O2 already above Camp 2 (6,400 m).” With the 51-year-old Italian, I had shared the tent at the seven-thousander Putha Hiunchuli in western Nepal in fall 2011. At that time Sergio had reached the summit while I had had to turn about hundred meters below the summit. 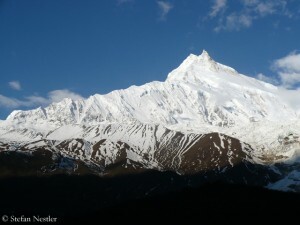 Last Wednesday, Zigliotto stood on top of Manaslu. 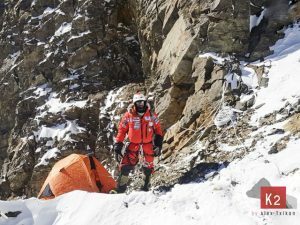 Sergio had wanted to ascend without bottled oxygen, but used it on the last 200 meters below the summit due to health problems. “It was very hard, but wonderful. On 27 September at 10 a.m. , I was standing on the highest point of Manaslu at 8,163 meters,” Sergio wrote. “I found the perfect day for the summit. It was a clear and sunny day. 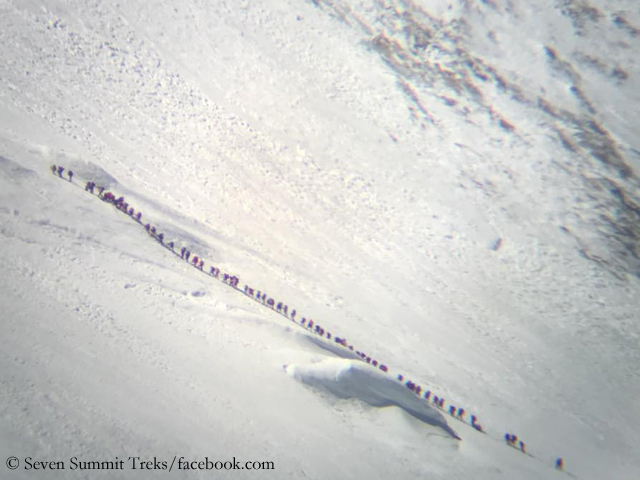 There were just me and other 4 people, hence no problems of traffic due to excess of people.” On that day a total of about 50 people had reached the summit, he said: “I saw many Chinese going on the short rope up and down. It was really sad to see.” Everest conditions on Manaslu. That is why the “Mountain of the Spirit” is not only close to my heart, but also weighs on my mind.